Everybody loves the White Rabbit from Alice in Wonderland don’t they, such a better character than Alice, way more fun. Anyway these new McVities Moments 4 Hare-Brained Honeycombed Tiffin were just being put out in Aldi while I was doing my grocery shop and I popped one in the trolley as soon as I saw them. The White Rabbit theming caught my eye, and then I spotted the phrase Easter Limited Edition, and I couldn’t resist. 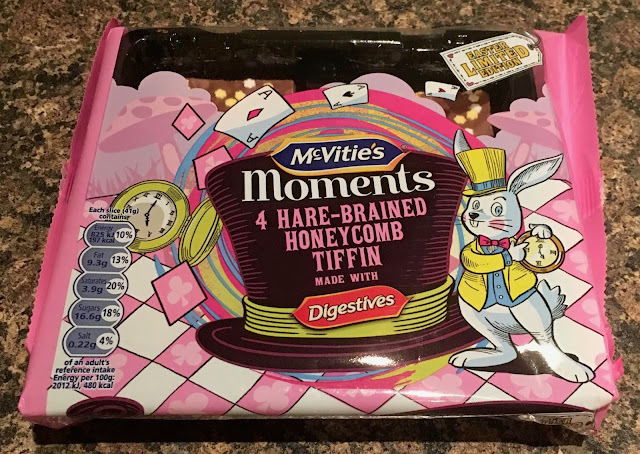 So the packaging gets a thumbs up, the next thing was to try the McVities Moments Hare-Brained Honeycombed Tiffin. They are decorated with small sugar flowers, smart, but not quite as crazy as I’d hoped from the packet. The flavour and texture though is lovely. 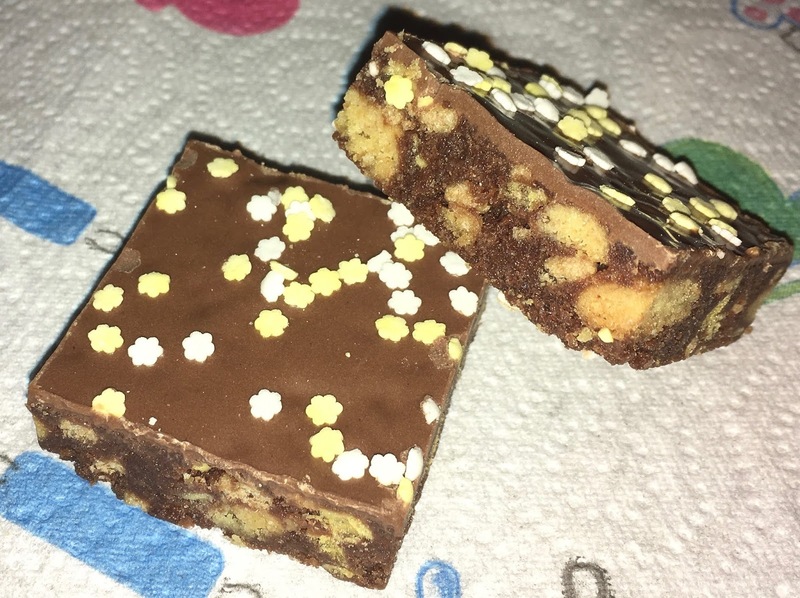 The bars are firm, with a nice amount of chewiness and the sugar flowers do actually add to the texture by bringing a nice crunch. I could taste the honeycomb and the added sweetness blended nicely with the milk chocolate and Digestives flavours. 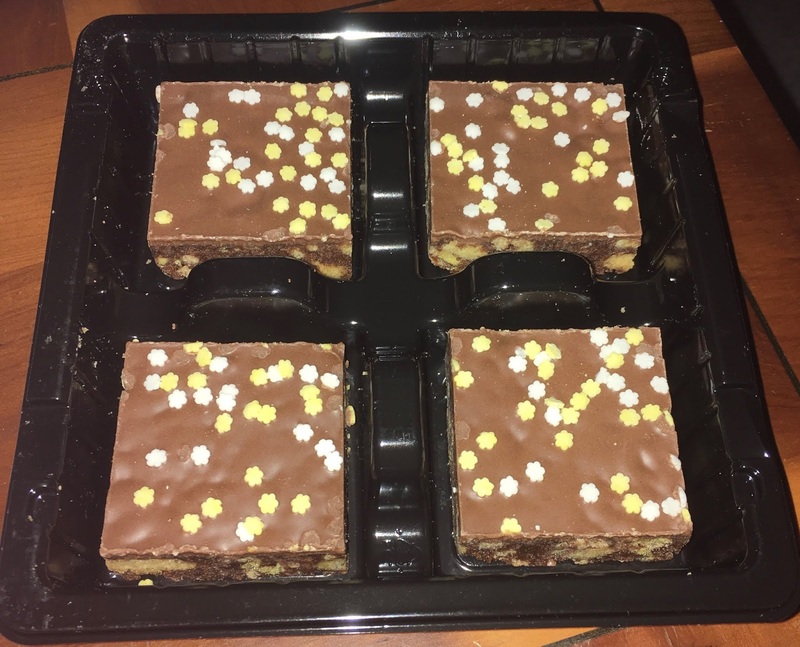 I though these Hare-Brained Honeycombed Tiffin squares were a lovely treat. If you are sharing with friends I’d suggest bringing out the packet as it is rather fun, and the White Rabbit really does make it something special. You wouldn’t want to be late for afternoon tea.